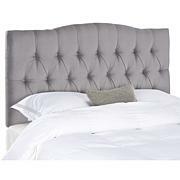 Get the look of a bespoke designer bedroom with an exquisite fully upholstered queen size bed covered in crisp linen. Its curved sides, rolled button-quilted top, rustic oak-finished feet and oversized nailheads recall French grandeur to give your boudoir a certain je ne sais quois. Box spring, mattress, pillows and bedsheets are not included. I saw this bed and thought it was beautiful, but when we put this bed up it is so unexpected, and so beautiful. 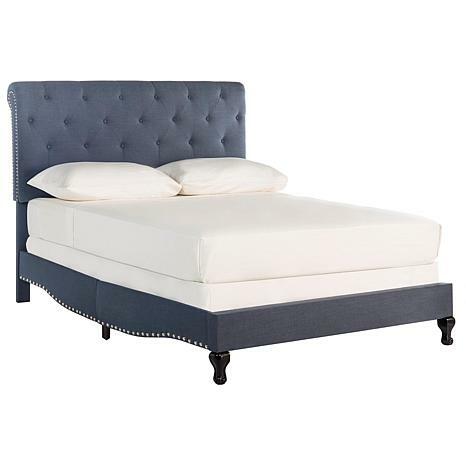 I got it for my guest bedroom and I am getting rave reviews on this very elegant bed and I would recommend it to anyone needing another bed. Awesome! 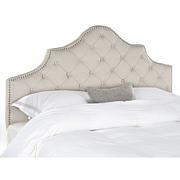 I recently purchased this beautiful bed from HSN. When I received the box I noticed the box had been previously opened and it clearly had been resealed. Well time has gone by and I just had my room redone and Saturday 3/16/2019 we opened the box ,finally yes, and to our surprise the bed was missing more than half of the items. Missing were the slates to hold bed up,screws, wrench,legs for footboard and HSN does not want to help me. Bed is on the floor at this time.